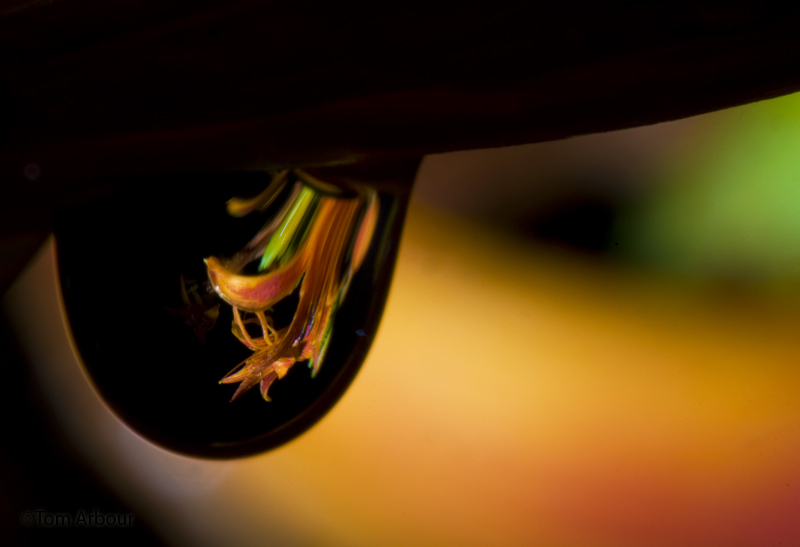 Daylily through a drop of water, Worthington Ohio, July 20th, 2009. This is my contribution to "Today's Flowers" #50. Wow Tom, this is fantastic. The color and composition are stunning. Interesting and well executed shot. Tom: That is an outstanding shot, You need to frame it. What an original flower photo. I like the others on your blog too. I'll be back to see more. Fantastic!!!! Thank you very much for sharing it in Today's Flowers. I am going back to take another look at it. It truly is an amazing photograph. Wow. This is impressive. I clicked this site instead of the one I usually go to and am glad I did. This is some creative stuff, Tom. This is lovely! The colours are so vibrant, and the composition is very unique.